Our company provides professional wildlife removal services in Tempe AZ and the greater Phoenix metropolitan area. We are humane animal trappers who specialize in home repairs and preventative techniques to keep critters away permanently. We are not a regular Tempe pest control or Tempe exterminator company - we handle raccoons, squirrels, bats, snakes, and rodents such as rats and roof rats without the use of poisons. An analysis of inhumane glue traps for Arizona roof rats - There are many ways that you can get the Tempe roof rats that may be pestering you and they may be small roof rats or rats and you may try many ways that can be possible to do. However, you have to do everything possible so that the animals do not suffer. There are many people even now who consider the cruel method to dispose the roof rats and they do not use poison but they do use the glue traps. The best part about these traps is that they are normally cheap and you do not need to have anything else but just a piece of the cardboard, the glue and some food to use like bait. 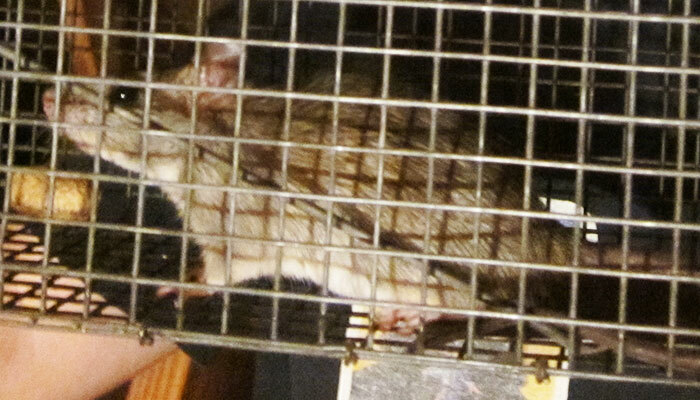 However, few people think about what such animals pass through if they are caught in the glue and this is the cruelest method of getting rid of the roof rats or rats. When the roof rats are gotten in the glue, it will try to get free on its own and it will be suffering during this entire process. The glue traps which are being sold, they say that the trap should be disposed by the animal that it had caught and this will mean that the animal is going to die because of the starvation or it can die because of suffocation. When you have pity on the animal and try to free it, you will damage its limps and you can tear off the fur. Among the faults of the glue traps is that they do not choose the target and other animals can be stuck on it and it will be difficult to be removed. As we all know this fact that wild Arizona animals can’t be kept as pets, even then many of us have them at our home deliberately or sometimes, unfortunately! This is the reason why, we all need a service to help us in getting rid of these wild animals if we are failed to do so by our own. When you decide to use such trap, you need also to be careful since the roof rats can empty their bowl on it if they are not removed faster. This will expose the people to the risk of contacting some serious diseases. You have to consider careful many options available and decide on what to use. However, if you have to deal with the Tempe animals, you have to avoid using glue traps because they are the most inhumane and worst method that you can be used to deal with the roof rats infestation.